It’s not an app, but we love showing off our mobile site! We know not everyone has a smart phone, but enough of you are whipping them out at the office that we thought we’d pass along some of our favorite pet related phone apps! A couple of them will really help with some of your pet related New Year’s resolutions…and you know the ones you need to make! Here’s the list, some for Droid and others for iOS. If you have any apps you think we should add to our list, send them in! Disclaimer: We haven’t tested all of these on our phones, and some of them have nominal fees to download. 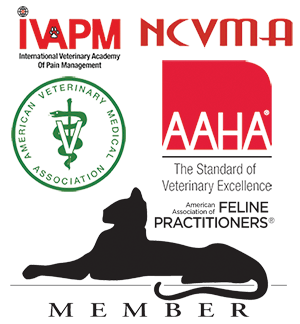 Pet First Aid – With text and video, you’ll find all sorts of information on how to handle emergencies with your pet. It’s a nice little app to have handy, but also to educate you before a problem arises. Droid. PetMinder (Anroid) and Pet Diary (iOS) are apps that remind you when to take care of your pet. It will let you know when you need to give food or water, make a vet -appointment, or give medicine. Really good for puppy training! Pet Care Services. 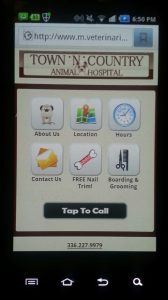 If you’re not near us, here’s an app to help you find a vet, grooming, boarding, and the dog parks. For Android. 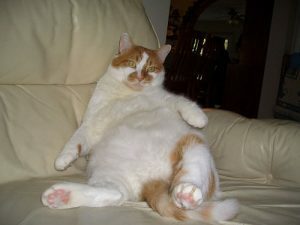 PetBook keeps all your information about your pet in your phone – medications, vaccine dates, information about your vet. When you leave your pet at a kennel or sitter, you can email all the information at once. Very convenient! Android. Google Translate for Animals. This one is really just an April Fool’s joke, but the video is hysterical. Android. Sort of. Cheesebox. Since your significant pet can’t say cheese, this app makes a noise so they’ll look at the camera. Android.